Phuket is figuratively awash with Spas, from high quality establishments and tranquil beachside retreats, to walk-in spas and massage outlets on most streets in tourist influenced regions. The majority of services are top notch and the rates are significantly lower than you would expect to pay in the western world. We have listed the top spas in Phuket so you can receive the benefits of local knowledge when deciding which spas to visit. All of the spas mentioned can be reached via booking from tour desks or by booking directly with the spa and organizing a taxi to take you there. This is rated as the one of the best spas in Phuket, if not the best! This isolated spa retreat is situated at the exclusive Banyan Tree Resort at Laguna, Bang Tao. This pioneer of the garden retreat spa concept might be a little bit more expensive than other spas on the island, but you pay for what you get. All the therapists have to go through the Banyan Tree Spa Academy to earn their stripes and uphold high standards. All you need to know is that the spa offers every treatment you could imagine within a fantastic environment beachside. The Royal Spa & Health Club at Phuket Town is situated near to Bangkok International Hospital in the Sam Kong area of the city. Although the spa is situated in a busy town, it is surprisingly peaceful. A great feature of the interior of the spa is the therapeutic cascading waterfall and the steam baths. 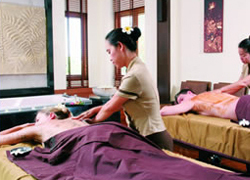 Services at the Royal Spa include a plethora of herbal treatments and massages in private rooms. If you are looking for a high quality spa for affordable prices, you couldn’t do much better. However, if you are looking for a tranquil retreat, this probably isn’t the spa for you. The Cannaceae Spa is situated on the outskirts of Phuket Town on Chaofa Road West. 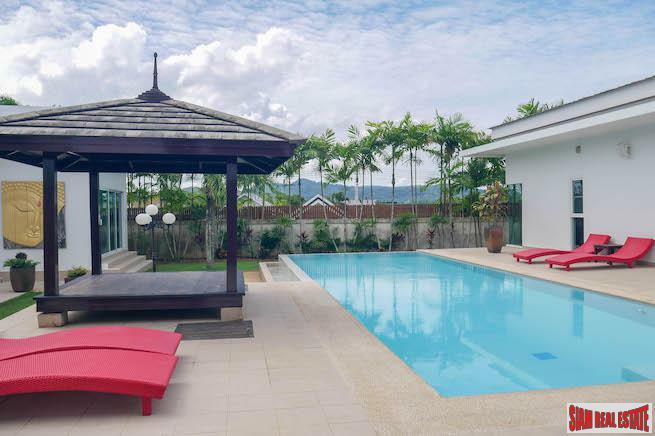 As with the majority of spas in Phuket Town, they are not the tranquil retreats you might come to assume, but they do provide great services for cheap prices. The Cannaceae is set within clean and well-equipped premises, specializing in aromatherapy messages and facial and body treatments. The facilities include a Jacuzzi, sauna, numerous private massage rooms alongside open bays. There is a wide range of treatment packages that take anywhere from between 1 to 3 hours combining their own specialties. The prices are affordable, the premises are comfortable and the staff are well trained. The reviews of the Cape Panwa Hotel can be sketchy, but the spa is a world-class affair and is quite new. The spa section of the hotel is run by Cape Spas, which is a respected Thailand-wide spa brand. The first class facilities at the spa include Jacuzzis, saunas, steam rooms, showers, relaxation areas and massage and treatment rooms dedicated to body, facial and massage treatments. Overall, the spa is high quality and situated in the exclusive and peaceful Cape Panwa region on the east coast of the island. When you conjure up images of tranquil spa retreats, the Panwa Garden & Spa should fit the bill nicely. Situated on a quiet side road off Ao-Yon Khoakhad Road to Cape Panwa, this spa is positioned between a peaceful jungle-laden environment and Ao Yon Bay looking out towards Chalong. This oceanside spa is truly Thai in decoration and a laidback attitude. Enjoy a vast array of treatments that include herbal steams, aroma salt scrubs and body and facial massages. 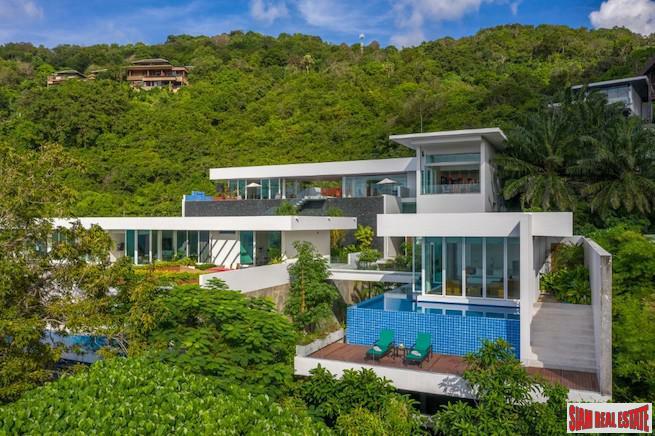 You can even book scenic sea-view villas and spend a relaxing couple of days in this natural habitat. If you contact the spa directly, they can also organize the transport detail for you. This spa is highly recommended. With scenic panoramic views overlooking the Andaman Ocean at Kamala, the Ayara Kamala Resort & Spa is a great place to enjoy a relaxing afternoon being pampered. The tropical décor allows you to totally relax and enjoy the range of body treatments, massages and facials. The location of the Ayara Kamala Resort is lofty, providing a soothing environment. This is one of the best spas in Kamala, no question. Perched on a hillside location overlooking Kata, the secluded and peaceful location is ideal for a relaxing spa retreat. Within the grounds of the Alpina Phuket Nalina Resort, you will find the comfortable Gaia Spa. There are 27 treatment beds, private treatment rooms, a fully equipped gymnasium and a salon. This is a recommended spa, due to the expert nature of the staff and the comfortable and peaceful surroundings. At the Centara Karon Resort Phuket, you will find the Spa Cenvaree. The resort and spa is centrally located at Karon, within a short distance to the beach. The Cenvaree chain of spas is well respected throughout Thailand and is famous for their well-trained therapists and treatments that include body wraps and scrubs, massages and facials. The environment within the Centara Resort is clean and the prices are slightly high, but reasonable. This funky resort owns one of the best spas in Kata. Enjoying an elevated location within the resort overlooking the swimming pool, this immensely clean spa offers guests a great range of spa services such as body wraps and scrubs, messages and facial treatments. This might not be the best spa on the island, but it is up there with the best. 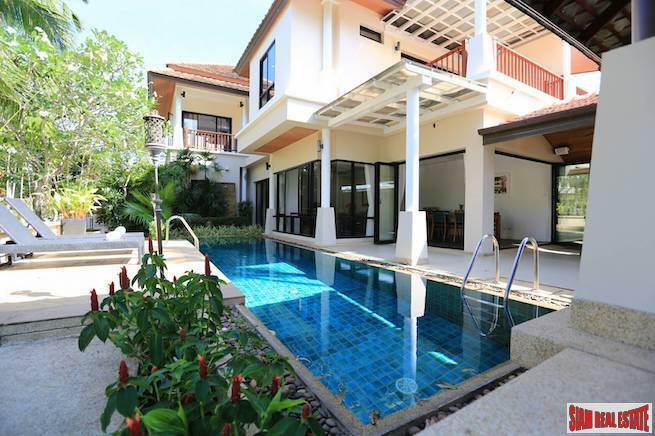 The resort is positioned opposite Kata Beach within a short stroll to the main road. If you are staying in Kata or Karon, you can simply walk in off the street and enjoy the services. Situated a stone’s throw from Kata Beach, behind Club Med, the Tanya Spa is set within a tropical garden environment with Asian ornamental decoration. Spa Treatment, Nail painting & Extensions, Oil & Thai Massage and an Aromatherapy Steam Sauna are all offered. The prices are affordable and the atmosphere is pleasant and peaceful. Set in the heart of Kata, The Sense Spa is small and cosy. What it lacks with its location in a built-up area, it more than makes up for with its comfortable design and range of treatments. The oriental yet modern decor ensures you will feel relaxed at all times. Facial treatments, body scrubs, massage, body wraps, hair waxing and hand & foot care are all available at this affordable spa. This award-winning spa at the JW Marriott Resort & Spa is as good as it gets. The decor is luxurious and relaxing, the treatments are plentiful and the service is world-class. With 16 double treatments rooms and five individual suites designated for the spa, there is lots of space and luxurious areas for you to enjoy top-notch spa treatments. The Mandara Spa is unique to most other spas in Phuket in regards to using ancient herbal treatments as the base of their methods. Easily one of the best spas in Phuket without a doubt. Mom Tri is already a well known name in Phuket in terms of restaurants and hotels. Mom Tri’s Spa Royale is set amidst Mom Tri’s Villa Royale Resort on the hill between Kata and Kata Noi, showcasing great sea-views. The spa is very peaceful, offering numerous services within tranquil jungle scenery. Enjoy the steam baths, aromatherapy treatments, facial massages, body scrubs and wraps, body massages and body treatments at this luxury location. Situated at the beautiful beachside Katathani Phuket Resort, the Tew Son Spa is part of the Asia Wind’s fine collection of spas throughout Thailand. Offering guests spa services such as Massages, Facials, Body and Beauty Treatments, utilizing both professional Aromatherapy products, the sea-view spa is a great place to relax, unwind and enjoy the pampering. This spa is highly recommended. Within a short distance from Patong Beach, you will find the Anda Spa at the club Andaman Beach Resort. One of the surprising things regarding the spa is the peace and quiet you receive, which is nice considering the spa is in the heart of the heaving Patong atmosphere. Enjoy a choice of treatments that include honey facial methods, aromatic massages, body scrubs and body masks. This is a decent spa and worth a visit. Situated on Rat-U-Thid 200 Pee Road in Patong, you will find the Deevana Spa within the Deevana Resort. The spa is clean and friendly with fully trained therapists that perform treatments such as Swedish, Aromatherapy, Traditional Thai, Therapeutic Thai massage, foot reflexology and slimming massage along with facial treatments, body scrubs and other body treatments. This is yet another spa in Patong that is surprisingly peaceful when compared with its hustle and bustle location. Entering Patong from the Karon direction, you will find the Leelavadee Spa that is positioned in the Hyton Leelavadee Resort, which is a relatively peaceful cottage style resort. There are many exotic body treatments on offer, alongside aromatherapy Salt Scrubs and massages that include the sandalwood oil massage. You can choose a verity of spa packages, some of which own luxury status. This is a nice spa with a fair to medium price range. At Horizon Beach Resort Hotel at Patong, the Morradok Spa offers a wide range of treatments just a short distance from Patong Beach. The classy decor with wooden furnishings makes for a nice venue to be pampered. The spa is one of the Asian Wind's outlets, which allows you to realise its quality foundations. The spa has a good reputation, where you can enjoy a range of services such as Herbal Steam, Jojoba Seed Scrubs, Swedish Massages, Hot Herbal Clay Wraps and Facial treatments of your choice. If you are looking for a high quality spa in Patong, this one should get a serious consideration. The Strelitzia Spa is one of the most attractive spas in Patong in terms of decor and comfort. Situated in the Grand Tropicana Hotel just off Rat-u-Thid Road, this lavish spa is one of the best in Patong for affordable prices as well. Choose from treatments that include aromatherapy massages, Natural Botanical Tanning, After Sun Treatment and a range of body treatments. If you are looking for an affordable and relaxing experience, the Strelitzia Spa might just fit the bill. Set within a luscious hillside location, the Trisara Phuket Resort owns a high quality spa that is well worth your money. There are six private treatment rooms, steam rooms and a relaxation area that overlooks the tropical gardens and the Andaman Ocean. The treatments include reiki, meditation, crystal healing, sports therapies, Pilates, cranio-sacral therapy, and lymphatic drainage. This is rated as one of Phuket's top ten spas, so you can understand the level of the services available. Set within a beachside tropical environment at the Six Senses Spa within the scenic grounds of the five-star Evason Phuket Resort, this spa is a tranquil retreat with a host of luxury facilities and high-class treatments. The spa is set over three floors and is very unique when compared to other spas on the island. The portable message canopies sit outdoors on a therapeutic water feature with the ocean just metres away. The healing treatments are some of the best on the island. The prices are slightly than standard spas in Phuket, but that is the whole point, this spa is something a little special. This is a stylish spa with classy decor situated at the Twinpalms Phuket Resort at Surin Beach. This spa is highly rated and offers a vast array of services such as detoxifying body wraps to massages and body scrubs. There are a range of spa packages available to you within this establishment performed by highly trained staff. This spa comes highly recommended. Everybody seems to be a massage expert in Phuket, and with the high concentration of massage parlours, it is hardly a surprise. The thing about massage is that a poorly performed massage can do more harm than good. Just because you see a cheap price does not mean a bona fide expert will be performing the services. We have provided a guide to inform you of where to visit for the best massage outlets and some tips to ensure you get the best services available in Phuket. You will literally see hundreds of small massage establishments in and around the major tourist areas such as Patong, Karon, Kata, Kamala, Rawai and Nai Harn. Although some of these small outlets do provide great services, you can never be sure how well trained the staff is, so beware. Within these small massage shops, you can receive oil, Thai, foot and facial massages for prices ranging from 200 baht to 600 baht. If you are willing to take a slight chance, you could find you receive great massage services for amazing value for money prices. However, you would be at an advantage to visit recommended spas that have certificated and highly trained therapists. This is the best way to get the most from you money and enjoy a real massage experience. If you choose one of these recommended and high quality spas, you will receive the high-class massage you are seeking. The benefits of visiting one of these spas is the beautiful surroundings and highly trained therapists.